Reports say Attorney General will not open a criminal investigation over Olmert's claims that Barak took bribes. Attorney General Yehuda Weinstein is expected to announce in the coming days that he will not open a criminal investigation over claims by former Prime Minister Ehud Olmert that former Defense Minister Ehud Barak took bribes, Channel 2 News reported on Tuesday. Weinstein began looking into Olmert’s comments, which were made in a recording made by Olmert’s former close aide Shula Zaken, after they were exposed by Channel 10 in November of 2014. During the conversation, which Zaken recorded without Olmert’s knowledge and which played a part in her testimony against her former boss, the former Prime Minister told Zaken that Barak “takes bribes worth millions and tens of millions” and that he hides the money “in Switzerland or somewhere”. 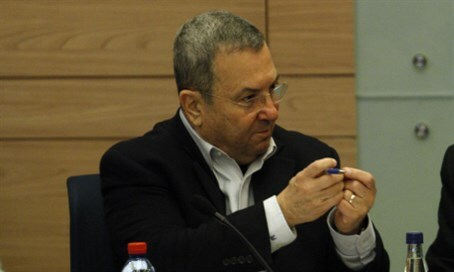 Barak's associates denied the allegations at the time they were made public, but nevertheless the Attorney General decided to order the police to examine the claims. Over the past year, investigators have conducted a thorough investigation. As part of the procedure, Olmert was summoned to the offices of the police’s Lahav 433 unit, where he repeated the same arguments he made in the recorded conversation with Shula Zaken. But now it turns out, according to the Channel 2 report, that the investigation will be closed with no further action being taken, after investigators determined that there is no basis to Olmert’s accusations. Barak's lawyers refused to comment on the report and indicated that they are waiting for an official announcement on the matter. Tuesday’s report follows an announcement several weeks ago that Barak will not be investigated over possibly exposing confidential information about a possible Israeli attack on Iran. Barak, in interviews with the authors of a biography on him, revealed that Israel was ready to strike Iran’s nuclear facilities in 2011, but Ministers Moshe Ya’alon and Yuval Steinitz refused, and the plan was nixed. The recordings were made public by Channel 2 News in August and caused an uproar in Israel over the fact that Barak may have revealed classified information that compromised Israel’s security.